Queries are used to show specific rows of data, these are configured when adding your dynamic data plugin. Click 'Add a query' to add queries to show specific data from the selected sheet. 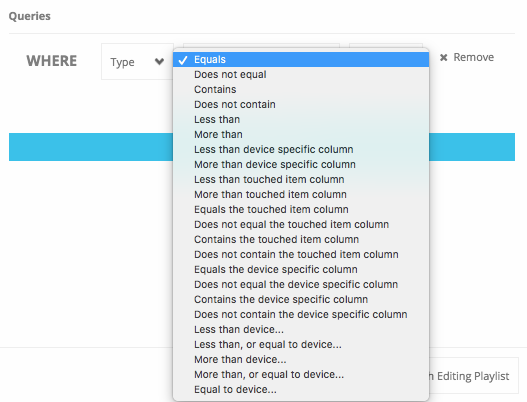 Device queries use the devices' time and date as the value to search for depending on which option you select. The options you can select are 'Day of the month', 'Day of the week', 'Month', 'Year', 'Hour', 'Minute'.